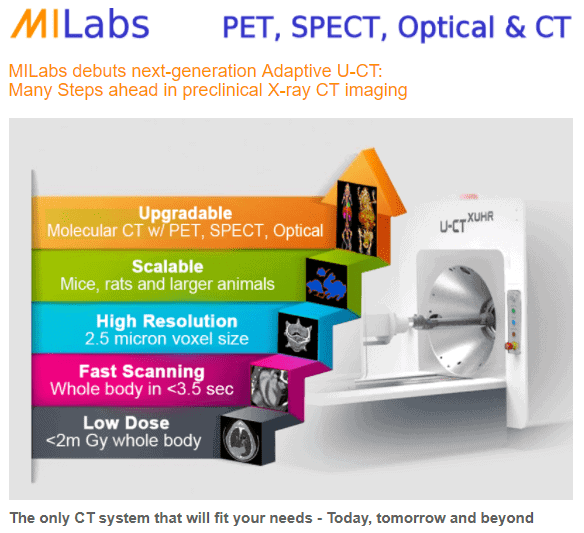 The “new-found” ability of SPECT to perform tomographic imaging with high spatial and temporal resolution in small animals and humans makes MILabs’ SPECT the best tool for preclinical imaging and targeted clinical applications. 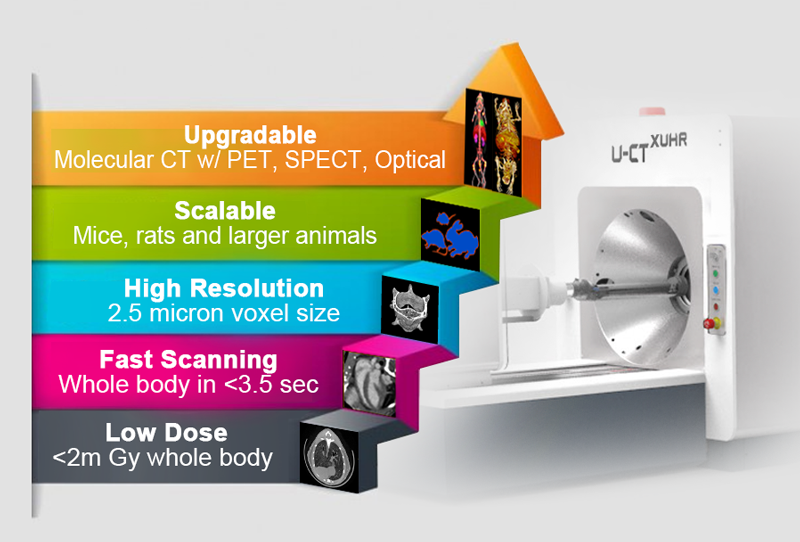 Preclinical U-SPECT: down to 0.15 mm resolution – far superior to PET, dynamic organ & whole-body SPECT, simultaneous multi-tracer SPECT imaging, high-energy theranostic applications, superior quantitation accuracy, no positron range blurring. 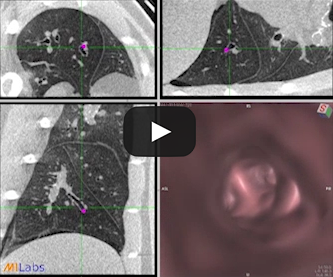 Clinical Gyro-free G-SPECT: unmatched 3 mm resolution – 10 fold improvement over conventional rotational SPECT, fast dynamic SPECT capabilities, freeze-motion SPECT, ten-fold dose reduction, far more economical than PET.